Last week I talked about the different generations and what their needs are and how they can contribute to the workplace. This week I thought I’d explore what you can do as an employer to build teams that work well together and are engaged with the business. Demographics are very general and create stereotypes to understand what the tendencies are, rather than specifics. We need to remember that although you could have been born in the era, doesn’t mean you will show the behaviours expected. 1. As the Employer, you need to understand the makeup of your business and how is it changing. What is the predominant generation currently and where will be in 2 years, 5 years and 10 years and plan accordingly using the knowledge out there? 2. You need to understand the communication methods for each generation and create a hybrid that works and that encourages communication across the generations. For example, as a Baby Boomer, I like having a team around me. Later generations are more independent. Generation X started the home working trend, creating an environment where daily meetings just didn’t work. While Millennials are so used to technology they would think nothing of Skyping for an interview. And they communicate via the written word or visual pictures – I.E. a text or Instagram or snap chat. But generally not verbally. We need to find a cross communication structure that works. 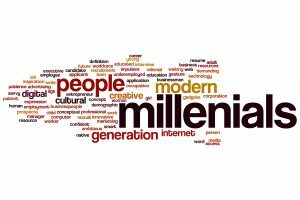 It’s often thought that Millennials work better with Traditionalists as they are both generally exhibit independent behaviours. Finding common ground will make the workforce a happier workforce in the long term. 3. As the employer, you need to build collaborative working relationships. Sometimes the older person struggles with having a younger Manager so you need to urge debates and encourage older generations to accept that younger people have skill sets to share that weren’t probably there before. In turn, you need to get younger people to recognise the experience and knowledge older generations have. A mentoring programme that pairs younger generations with the older groups can also work well. For example, the Millennials sharing their knowledge about the internet to the older set works well. While the older, more experienced employees share their knowledge gained over the years in reciprocal mentoring. Studies have shown people learn more from each other than with formal training. 4. As a business consider the working environment and layout. With technology and its contribution continuing to expand, workplaces need to be extremely flexible. We are seeing a shift with 8:10 ratio for desks as everyone needs a computer and not necessarily a desk. 5. A further consideration is reward and recognition. A reward of a streamed film package isn’t going to create excitement for a Traditionalist if they don’t have computers or laptops or a smart TV to stream the film to. The same for a Baby boomer, they are probably putting in extra hours in for a new kitchen or to add to their pension pot and the ability to leave work sooner. 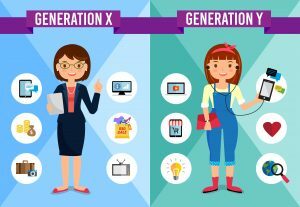 As for Generation X, they will tend to want time off if they have worked really hard on a project, to spend with family and friends. While Millennials work to fund their lifestyle, so they prefer time off rather than the money. We need to understand that different generations work hard for different rewards and we need to accommodate that. 6. Another consideration is people’s life paths. As businesses, we need to consider where people are in their lives and what their real needs are. For example, younger people don’t tend to have many outside commitments, whereas generally employees in their 30s and 40s may have children and mortgage responsibilities. Their needs will be flexibility, money and advancement. If we look at the generation near the end of their career, they tend to want interesting work and a work: life balance. Using this information can help determine the best way to motivate the team and how to share the work out. Employers need to be sensitive to how each group works best – some want flexibility and others prefer guidelines. 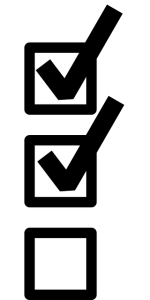 One way of understanding what the employee’s needs, is by carrying out a survey and regularly re-evaluating through a survey. The different generational approaches can enhance the business and give different insights and behaviours that together can make your business a strong environment and employer. Moving forward you need to use the strengths of each generation and understand that diversity is an asset, not a hindrance. And remember the goal is to get the team to move beyond the labels and work collaboratively together.